Green sport headbands terry for sweat. Need a green sport terry headband? We have a style of green head band for you. Kelly green, forest green, bright and pale green athletic headbands are here for you to grab and complete your uniform. Green cotton terry cloth headbands are perfect for the gym or any other kind of workout you can put together. 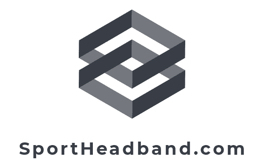 Green sports headbands are constructed to be strong and washable so you can use them again and again.